This is the return of the sunday session with Richo. 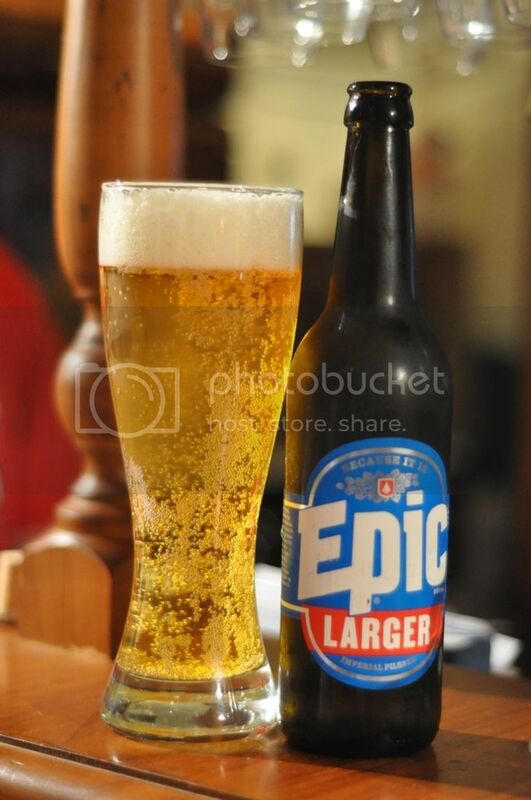 EPIC is a seriously good micro-brewery from New Zealand, and we thought it would be good to hit up this breweries beers. We actually started with the Larger (see picture below) but this was definitely the beer to review. Both Richo and I are big hop heads, so IPA's are often our beer of choice. 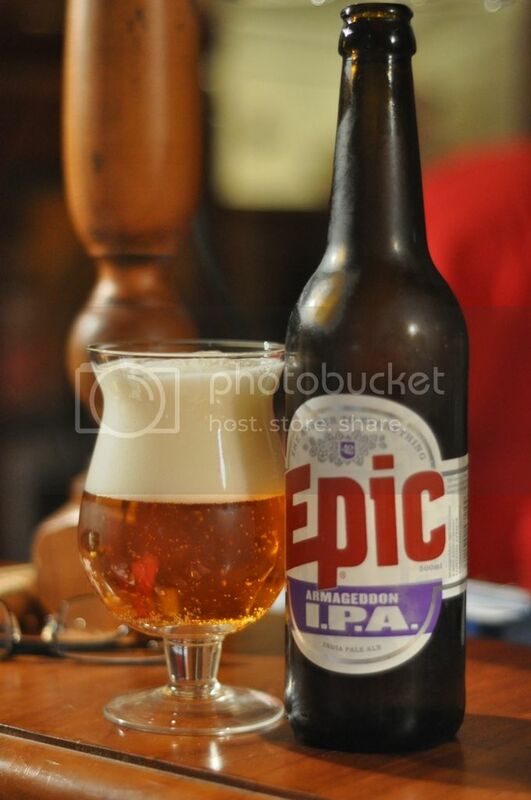 EPIC (what a name for a brewery by the way...) is brewed in Auckland and has a great reputation for the beers they produce worldwide. Anyway I really like the 6.66% ABV on this beer and can't wait to try this one. The EPIC Armageddon has one of the most incredible heads I've ever seen on an IPA. The colour is a true copper colour with lots of carbonation, that gives rise to this brilliant creamy looking head. The head is close to 4 fingers in a smallish tulip glass, it's incredibly impressive. It also provides incredible lacing and had excellent retention, still at least 1 finger left at the end. It's a seriously good looking IPA! This beer seems very aromatic, due to the strong hops. There are strong pine and citrus elements on the nose of this beer. I get hints of alcohol in the smell but it's not an over-riding issue in this beer, it almost adds to the overall complexity of the nose. It actually smells a bit like fruit-cake or christmas pudding or something like that, there are mild caramel and notes of spices that permeate the beer. But the hops are by far the most significant element of the EPIC Armageddon, they are sensational and the taste will hopefully live up to expectations. This beer is simply sensational! Like any good Indian Pale Ale, the hops are the most dominant flavour of this beer. They have an incredibly sharp bitter taste, which has citrus elements; tangerine or grapefruit I think. The malt bed is caramelly but barely there, and really just provides enough substance to balance the beer. Alcohol is present at the back of the mouth, but if anything it adds to the overall bite of this beer. It's a really good biting IPA!